What do you get when you cross a welder with a generator? You get a welder that does not have to rely on any external power sources. A welder generator powers itself and can also produce power enough for other items to be hooked up to it such as lights or another welder or even a plasma cutter. There are many welder generators that can run multiple processes such as MIG, TIG, Stick and even Plasma Cutters. Some can be smaller portable units suitable for home workshop use while others can be large enough that you need to load them into the back of a flatbed pickup truck or onto an industrial trailer. What type of welder generator you choose to purchase will depend on the intended use, the features you desire and your price threshold. By Gregory Sanders: This article has been updated to reflect the most accurate information regarding welder generators available for those who are interested in welding. The best 4 available have changed, and information has been added to assist individuals in finding the best welder generators currently available on the market. The FAQ has also been updated. 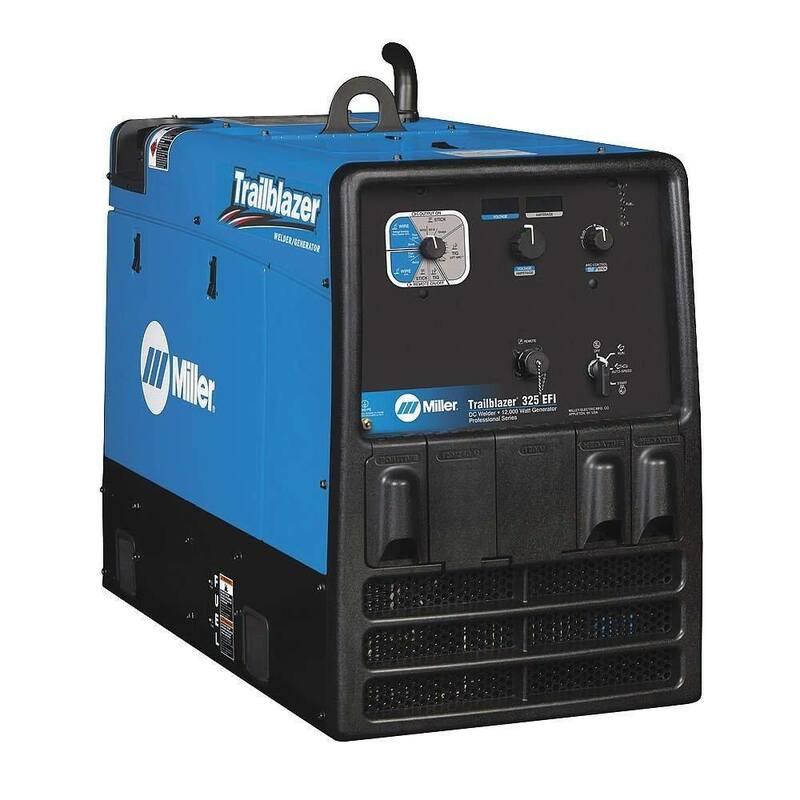 Let's take a quick look at some of the best welder generators available to help with your welding needs in the field. The Miller Bobcat can generate up to 11,000 watts of Accu-rated power. This model has a good-sized fuel tank, at 12 gallons. Miller also has their own “Smart Fuel Tank” design that helps reduce backsplash during refueling. It has a welding amp range of 40-250 AMPS with a 25V rated output at 100% duty cycle. Miller is a longtime manufacturer of welding equipment and is one of the most trusted names in the business. They offer a TrueBlue 3-year warranty on parts and labor. The engine is warrantied separately by the engine manufacturer. The Lincoln Electric Ranger 225 can generate up to 10,500 watts of power, which is more than enough for most job sites, home and farm use. A 12-gallon fuel tank allows the generator for run for up to 14 hours. The welder is multi-process and includes Flux-Core, Stick, MIG & TIG. The Hobart Champion Elite can generate up to 11,000 Watts of power, which is more than enough for most jobs sites, home and farm use. The welding functions can handle materials up to ½ inch thick. It runs on a gas-powered 23HP Kohler engine. Lightweight design weighs 10-20% less than competitive units and is just over 3' long. Single knob current control for easy set up. 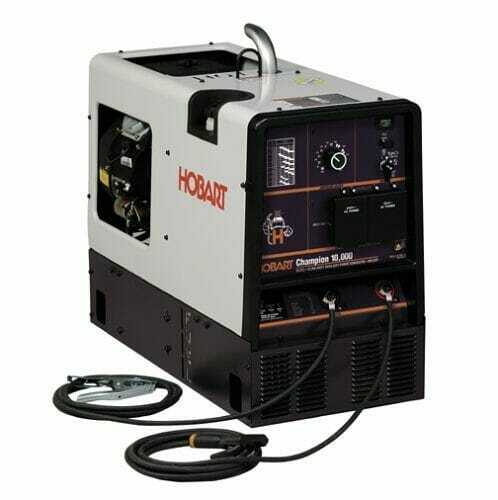 Hobart offers a 5/3/1 limited warranty on the welding machine. Engines, batteries and tires are warrantied separately by those manufacturers. The 12,000 watt MIller Trailblazer 325 features a 23.5 hp motor. The amperage range is from 10-325. The multi-process functions include flux core, stick, plasma, MIG and TIG welding as well as a TIG pulse mode for out-of-position and lower heat welding jobs. Infinite arc control feature for stick and solid wire welding functions to allow fine-tuning for difficult-to-weld materials and out-of-position welding ability. All welding machines require a power source. Most machines rely on an external power source such as a wall outlet in a welding shop or a home garage. A welder generator has its own built-in power source. This comes in very handy for instances where an electrical connection is not available. Farmers can make good use of a welder generator for repairs to the metal on combines, tractors and other farm equipment; irrigation pipes, seeders and spreaders; metal components and frames on fencing and pens and barns; and hitches and trailers. A welder generator comes in handy on a ranch for constructing fences and holding pens, wagons and trailers, as well as the various types of equipment used on a ranch. Those in the construction trades would make use of a welder generator for structural steel supports and framing on buildings. Any industry or trade that uses welding out in the field where no external source of power is available will require a welder generator in order to construct or repair metal structures, equipment or items with a metal component to it. Welder generators are useful not just for the welding features. They also offer many benefits in emergency power situations. After a natural disaster such as a hurricane, tornado, ice storm, or flood has occurred, homes and businesses can be left without power for long periods of time. A welder generator is designed with a fairly large fuel tank so it can run for many hours under a continuous watt load without the need to refuel. Some welder generators can provide output power up to 12,000 watts, which is enough to provide power needs for a house or small business. Many welder generators can deliver peak power capability to start the motors of big appliances such as an air conditioner, water heater or furnace. Welding machines can require a fairly significant outlay of money, so you want to make sure you get the biggest bang for your buck. Many welding operators are interested in welding machines that can run multiple types of processes. 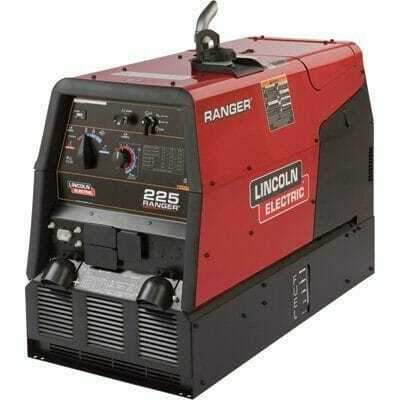 Most reputable welder generators can run MIG, TIG and Stick processes and many can also run a plasma cutter. The more power your welder generator has, the more processes it can handle. Thus, one of the more significant things to look for in a welder generator is how much amperage it can provide. The more demanding the type of projects you regularly undertake, the more amperage you will require. The fuel capacity or fuel tank size of the welder generator will determine how long it will run for. For example, a 5-gallon fuel tank can allow the welder generator to run on about 7 hours while a 12-gallon fuel tank would allow 13-14 hours. Of course, that return will lower if you’re also supplying power for other devices. 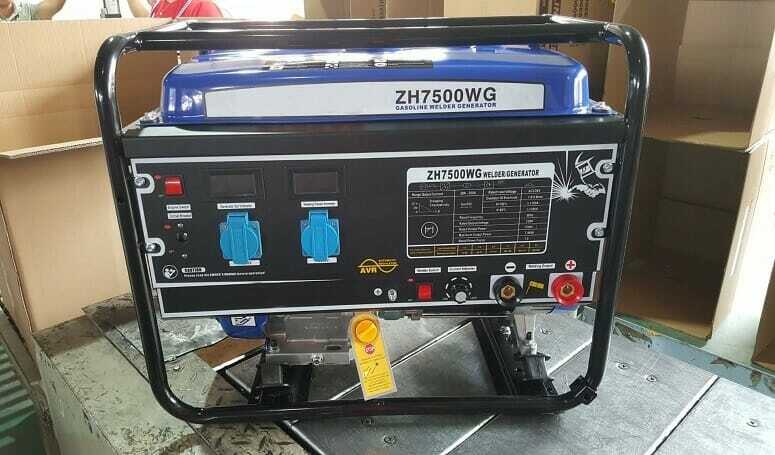 Some welder generators can be portable and lightweight. Most welder generators; however, are much bigger than a stand-alone welding machine and can be quite heavy. They will often require a truck or trailer to haul them to and from job sites. How large a truck or trailer you will need will depend on how large and heavy the welder generator is. The fuel type you require will depend on the model of welder generator you purchase and other factors based on how it will be used. Most welder generators are engine-driven and will run on either gasoline, diesel or liquid propane. In terms of economics, gas is typically going to be the lowest-cost alternative. However, fuel price is not the only consideration in determining what type of fuel to choose. In general gas provides a lower fuel consumption and is cheaper than diesel or propane. Most smaller, portable welder generators run on gasoline. Additionally, gas engines start easier in cold weather. However, the use of gasoline requires a well-ventilated area as it is susceptible to ignition. Many larger jobs where the fuel is being provided on-site require the use of diesel fuel. Diesel offers a longer run time than either Gas or Propane. So for jobs that will require a long run time, it can be a more economical choice. Diesel does not ignite as fast or as easily as gasoline so it may be a more attractive option when using around other spark-generating equipment. Diesel, however, gives off noxious emissions and is not well-suited for indoor applications. It can be harder to start in cold weather conditions and may require additional starting aids. Propane can be stored forever as it doesn’t go stale while gasoline will. It can also be used in areas that are not well-ventilated or where exhaust emission are not permitted. Propane burns cleaner than either gas or diesel. Propane is not commonly used because it is the costliest of the three fuel options. Almost all of the accessories that would be required for a stand-alone welding function like MIG, TIG or stick welding are also required for use with a welder generator if it incorporates that function into the unit. But there are some additional accessories that may be handy to may work on the job site easier. Remote control operation of the welder generator can be handy on the job site. Many come with an extension cable and can be used up to a range of 400 ft. to start or stop the engine, activate the idle function, change the current control for stick welding etc. For larger/heavier welder generators, a welding cart or trailer may be necessary in order to haul the unit to the job site and/or provide portability around the job site. If you plan to use LP Gas, you will need a cylinder tank rack that includes a hose assembly for your welder generator. To use a MIG function you may want to consider purchasing a portable wire feeder and a welding gun and connector kit. To use a TIG welding function on your welder generator, you will likely want to purchase a TIG torch complete with collets, nozzles and tungsten electrodes in a variety of sizes. Additionally a foot control pedal and/or a hand amptrol for use with the TIG torch can be handy to control the current. To use a stick welding function, a stick welding cable set that includes an electrode cable with holder and a work cable with clamp can provide between 20 to 50 feet of portability for the stick welding function with a 100% duty cycle. Heavy-duty extension cords can be handy for jobs that may require the unit to be many feet from an electricity source. Often these cords can add an additional 20 feet of flexibility for your unit and can handle up to 230V of current running through them. 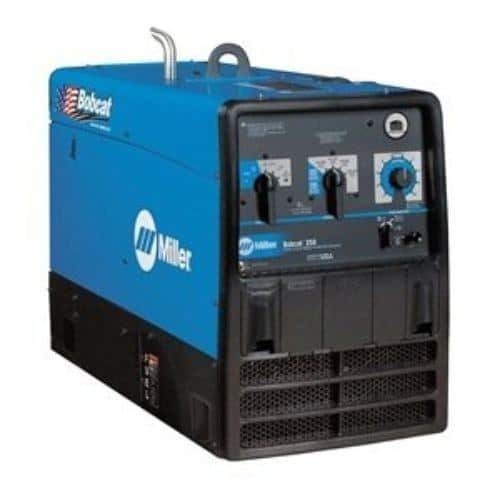 A welder generator is an essential piece of equipment for welding needs where an external source of power is not readily available or you need a reliable, long-running source of power. In addition, welder generators offer the ability to run several welding functions from one machine. Any of the welder generators reviewed here would be an excellent choice for your needs.